Since its inception in 1994 OpenVision Inc., a SC web design company, has been dedicated to helping businesses big and small succeed on the web by providing, developing and producing the latest in cutting-edge, interactive technology. We serve each and every one of our clients, each and every day, with one goal in mind: Success. At OpenVision, we have learned that internet success doesn't just happen. It takes vision, leadership, knowledge, creativity. Our award winning, web-savvy management and creative teams specialize in web design, custom web development and programming, and ecommerce internet marketing. We offer budget-specific Internet strategies designed to increase site traffic, market share and return on investment. 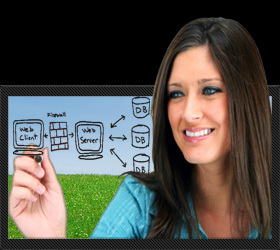 Our South Carolina website designers are experts in social media marketing as well. Successful online marketing begins with a successful marketing plan. OpenVision has had over 10 years of developing internet marketing strategies which incorporates pay-per-click marketing and organic Search Engine Optimization. We then work within your budget to develop an extremely pointed, measurable and cost effective internet marketing strategy. View one of our internet marketing case studies. We can design a site to be driven by your company’s database or open an online store; the sky’s the limit for your internet marketing endeavor. At OpenVision, we have the programming and graphic design expertise required to meet your individual needs. Our award winning web developers take great pride in the work they do and strive to produce a product you will be happy with. Video will motivate, communicate, demonstrate, educate, and increase your conversion rate. 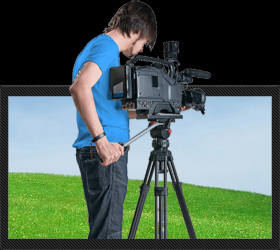 Our in-house, high-end video production and editing will meet your needs. Motivate prospects to buy, communicate what makes your business different, demonstrate how your products work, educate your customers and employees, and increase conversion rates by as much as 300% or more! View a demo using your web site.